Fire has the habit of arriving unannounced and thus creating panic of all kinds. There's the fear of losing lives, valuables, property, and even reputation. When it comes to fire, India is like a tinderbox and for good many reasons. This makes it absolutely imperative to have a robust fire prevention and fighting system installed and maintained operative for any eventuality. Around the world and particularly in India, KSB is the most trusted and reliable name in production of pumps & valves for all purposes. 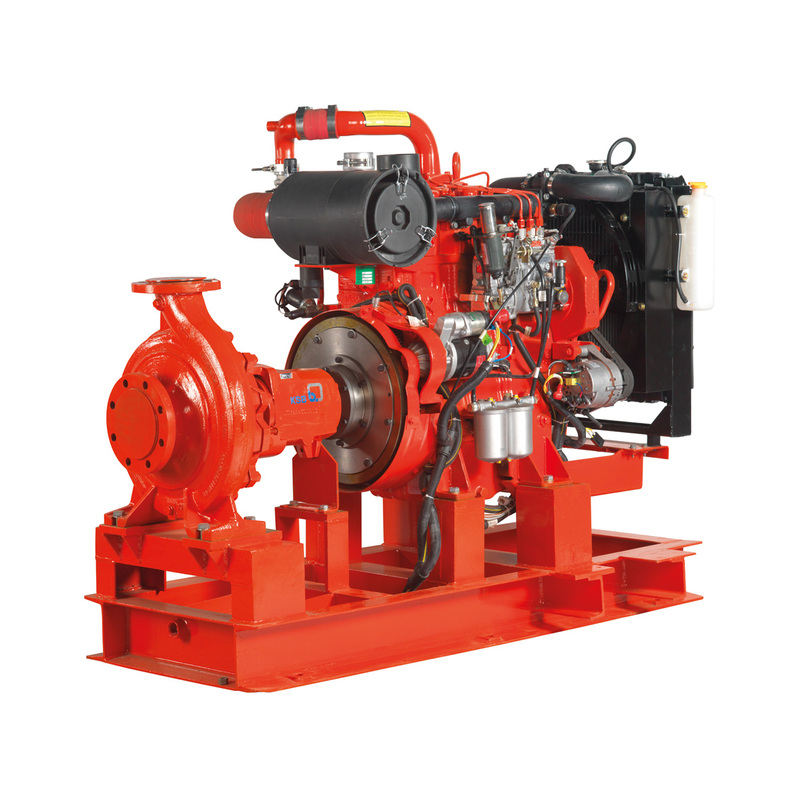 Understanding this importance and need, KSB in India has introduced complete factory fitted firefighting systems solution. 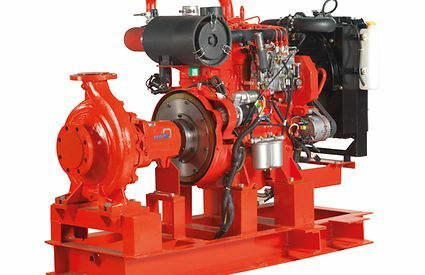 The system includes diesel engine and motor driven pumps with necessary control panels. The advantage of KSB factory fitted system is that it is well engineered and reliable packaged product leaving no room for errors and surprises at site. Depending upon the operating parameters, a wide range of pumps like Etanorm, MegaCPK, CPK, Omega, Etaline, Etabloc, Movitec, WK, WL etc. can be used along with electric motor or Diesel engine. These systems are available through the wide spread sales and authorized dealer network available pan India. KSB Fire-fighting systems are very well received by the market and within a short period of time the business has been grown in multifold. Major prestigious orders are Kolkata metro, Reliance Corporate office, Raintree Park, Emmar MGF villas, Mantri Pinnacle, Calicut Airport, Lodha Clariant and many more.